ChineseInvestors.com, Inc., (CIIX), headquartered in Los Angeles, with offices in New York City and Shanghai China, is a company that engages in providing a wide range of products, services, and information for the global Chinese population. Web-based real-time financial information is provided via the Company’s dynamic financial website, www.Chinesefn.com, that caters to Chinese investors by offering timely market information of US publicly traded stocks and foreign currencies with free quotes, charts, market news, and links to research. The Company offers various products beyond the website information such as subscription services, real-time financial analysis and tracking of US stock market quotations; access to a sample investment portfolios for educational simulation, as well as real-time trading demonstrations. The Company also offers a wide range of investor relations and consulting services to publicly traded companies in the US and China. The Company is now beginning to change focus as a premier Internet information provider by expanding into retail and online sales of CBD products via www.ChineseCBDoil.com. CIIX is also leveraging its financial expertise to enter into the burgeoning CBD industry, which within a few years has grown from a relatively invisible sector to a billowing market expected to reach $2.1 billion in consumer sales by 2020. The increasing demand for CBD-based products is a catalyst for innovative business endeavors. To this accord, CIIX has established a three-year development plan to capitalize on the convergence of CBD and the nutrition and health products market in mainland China, where the benefits of CBD oil have not been widely recognized. Under a wholesale agreement with a reputable CBD health brand, CIIX is launching the world’s first online CBD health products store published in the Chinese language. The site, www.ChineseCBDoil.com, caters to a growing number of Chinese people awakening to the numerous health benefits of CBD oil for treatment of a variety of conditions such as anxiety, stress, poor sleep, Alzheimer’s disease, and more. CIIX expects to launch this website at the end of January 2017, and plans to sell CBD-infused products via online and in-store. In conjunction, CIIX’s cannabis-focused “Yelp”-style mobile app is in development as a platform for Chinese people to review and discuss various cannabis products. The app will be the first marijuana social media mobile app designed for Chinese-speaking customers worldwide. The Company’s recent announcements regarding expansion into the medical marijuana and CBD oil industry has driven great interest in CIIX shares. Under CEO Warren Wang, CIIX has had a clear vision, solid accomplishments and eye on future growth. CIIX is perfectly positioned to penetrate the adult Chinese-speaking population of over one billion globally in the rapidly growing CBD oils market. According to The CBD Report published by The Hemp Business Journal, Cannabidiol is one of the fastest-growing market categories in the U.S. hemp and legal marijuana industries. In 2015, the CBD industry grew from a nearly invisible market a few years ago to $202 million in consumer-sales, and it is further expected to grow to $2.1 billion in consumer sales by 2020. January 19, 2017, The Company filed with the SEC, a Form D announcing plans to issue up to $5 Million dollars in an equity offering to accredited investors. 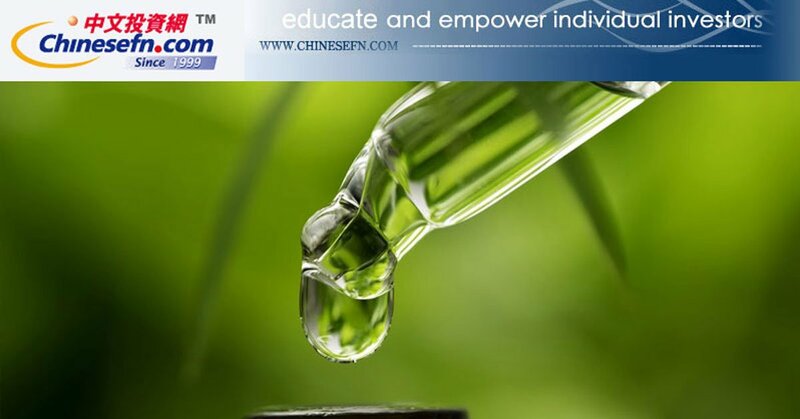 January 12, 2017, The Company announced its new headquarters in Shanghai China, for the world’s first CBD oil health products online store; www.Chinesecbdoil.com presented in the Chinese Mandarin language. The Company plans to set up a wholly owned subsidiary in the Shanghai free-trade zone which will focus on a global wholesale and retail business of supplying CBD oil products. On December. 14, 2016, The Company announced a joint development with a manufacturing distributor of CBD oil products enabling the Company to wholesale and retail CBD products to the Asian health products market via online and in-store sales. On November. 21, 2016, CIIX announced that it has appointed Kevin Ge as its Chief Technology Officer. Mr. Ge will be overseeing the IT and development of the new website and mobile app. October 15, 2016, The Company announced quarterly revenues of $341,000 dollars which is an increase of 105% from last years $166,000 in the same quarter. Loss per share declined from .09 cents per share to .02 cents per share.